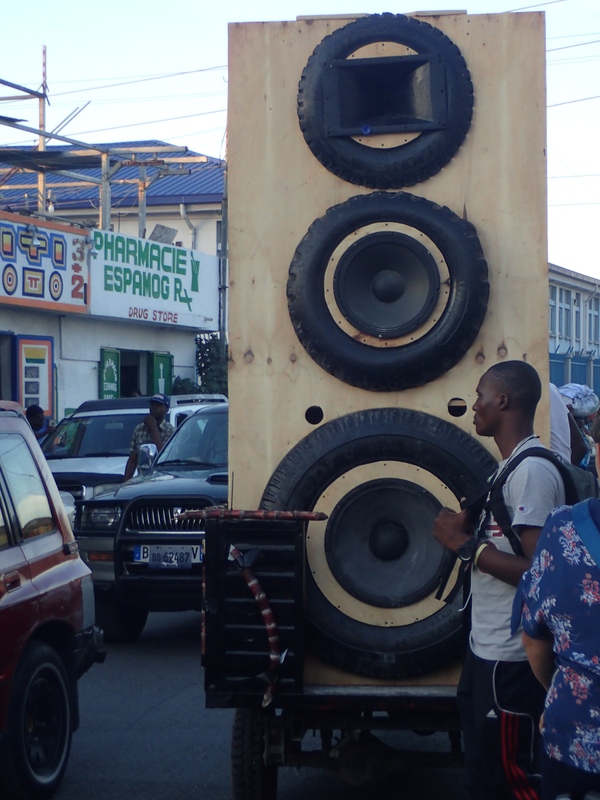 During the Ghetto Biennale 2017 in Port-au-Prince, The Montesinos Foundation and her accomplices have constructed a huge mobile sound system, proudly composed of used tires as the central eye-catching detail. 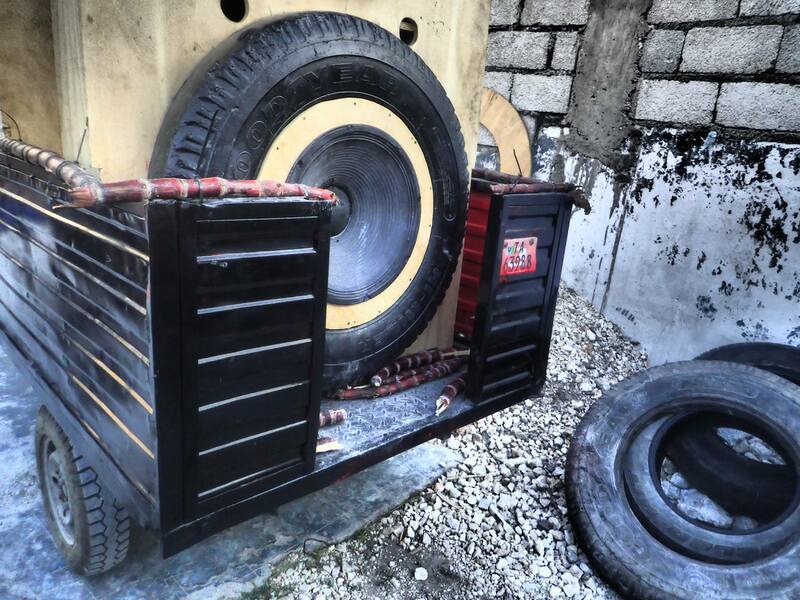 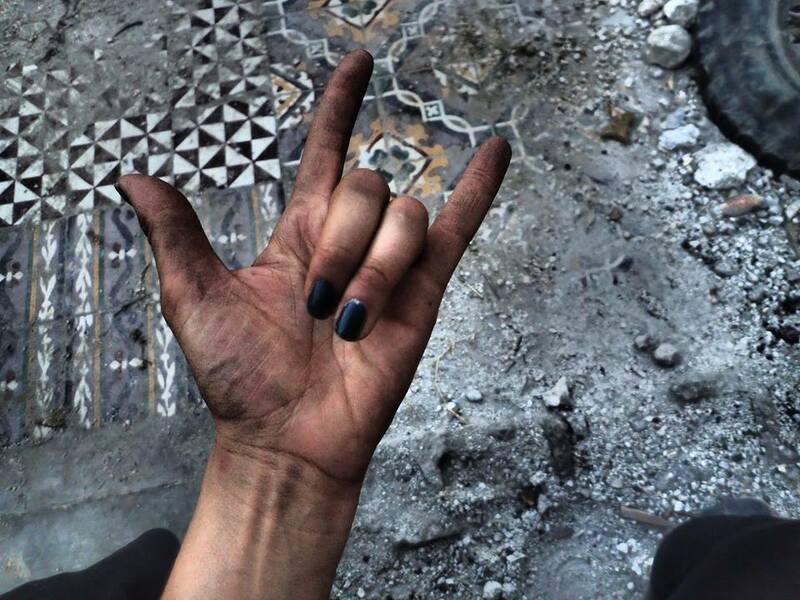 When it comes to “upcycling”, one of the first things that immediately come to mind are used tires. 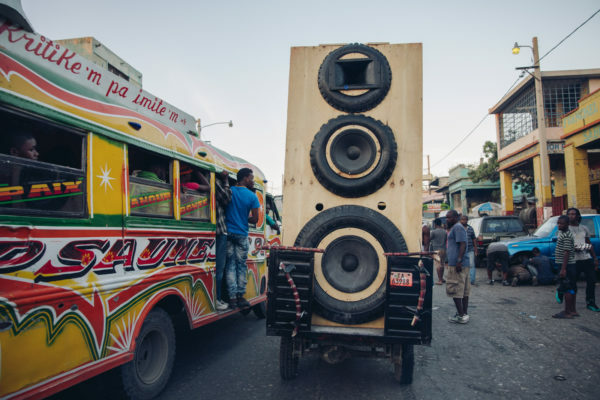 This giant loudspeaker driving around town on a small three-wheeled scooter referes directly to the sound-system culture, which is well known as one of the most appreciable ways of gathering a large diverse crowd into unity and fun. The rare opportunity of combining local DJs in conjunction with some of the biennal artists has been the essence of this sonic gathering monument. 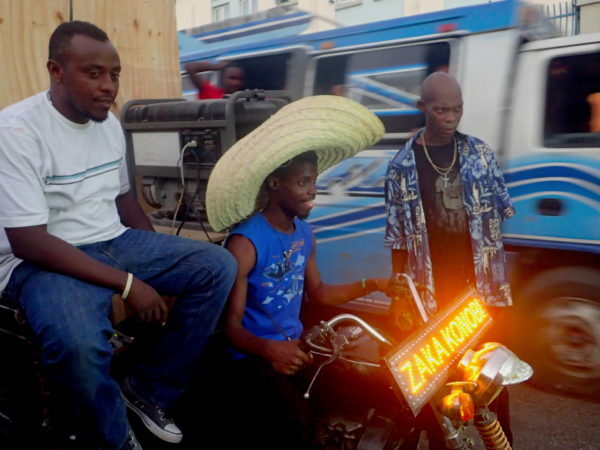 The sugarcane tips decorating the vehicle, held by very visible black cable-ties -called “menottes démocratiques” or “democratic handcuffs” in haitian- are a reference to slavery, and the big straw hat worn by the driver is the symbol for Kouzen Zaka a.k.a. 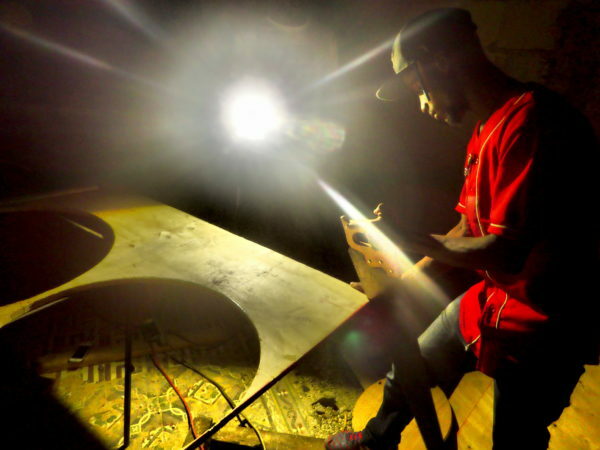 The voodoo God of Agriculture. The local hip-hop sound displayed during the rides through town aims to keep the strong awakening spirit going, as it is well known that the only good system is a sound system. 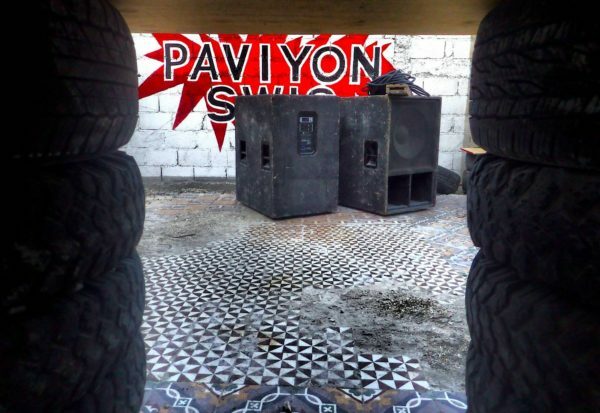 During the last evening of the biennale, the swiss crew organized a block party at the “Paviyon Swis” (spelled in kreyol) starring haitian musicians and international DJs from the Biennale. The party has been a blast! PA PA PAP PAP stands for “PArty at PAviyonSwis/ Port Au Prince/ PAs de Problème”.